Costa Rica is a small country, at just 19,653 square miles (51,100 square kilometers), but its varying elevations give birth to rolling valleys, tropical beaches and sky-high mountain peaks. This diversity of terrain and landscapes creates a variety of habitats, which we classify into 10 regions. 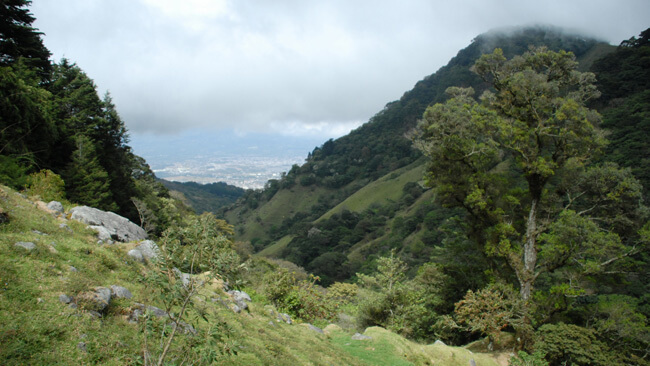 Some, like Monteverde and Arenal, are small regions with big personality, while others stretch for miles and encompass several popular destinations, national parks, and biological corridors. Perhaps the most underdeveloped, and underestimated, regions of Costa Rica is it’s northeastern Caribbean Coast. The Province of Guanacaste in North-Western Costa Rica, along with being the home to countless gorgeous beaches, holds one of the largest tracks of Tropical Dry Forest in Meso-America. Known as the adventure capital of Costa Rica, the region of Arenal has countless activities and tours for visitors of all ages. From the Port of Puntarenas, to just south of Manuel Antonio, the Central Pacific area of Costa Rica is full of incredible places to explore and enjoy. It’s said that more than half of all of Costa Rica’s animal species live in the Osa Peninsula. This biologically rich area is accessible only by plane or boat, which ensures that most of its land remains unspoiled by civilization. The Central Valley is the most culturally exciting area in Costa Rica, with countless museums, art galleries, theaters as well as colonial structures spread evenly across the cities it covers (Alajuela, Heredia, San José and Cartago).